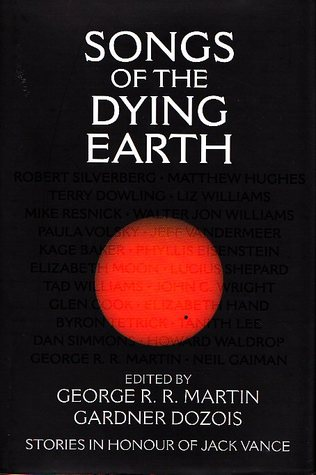 In certain important respects it is impossible for me to review Songs of the Dying Earth, because the anthology of all-original stories, compiled by George R.R. Martin and Gardner Dozois and published in 2009, was not entirely composed with a mass audience in mind. As the subtitle states, these are Stories In Honour of Jack Vance, and the book was published at around the same time as Vance finished his autobiography This is Me, Jack Vance! and retired from writing, after a career spanning some six decades. It is, in other words, a retirement gift from the SF and fantasy writing community to a beloved elder, and it’s structured accordingly. 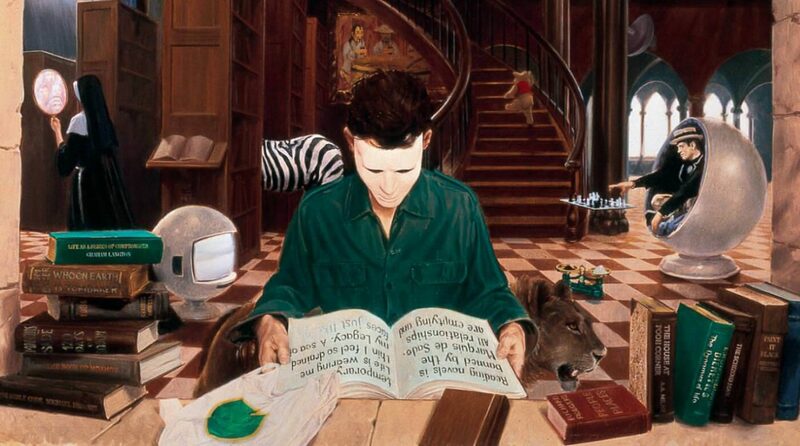 It opens with a forward by Dean Koontz entitled Thank You, Mr Vance, in which Koontz discusses how he first encountered the great man’s work and its influence on him, and after each story the authors take their turns to share their memories of Vance as a writer and Vance as a person. Like in any retirement party, the retiree is given an opportunity to say a few words, and in Vance’s preface he glosses over the actual process of writing The Dying Earth in favour of enthusing about his own influences – naming Robert Chambers, L. Frank Baum, Edgar Rice Burroughs, Jeffery Farnol and Lord Dunsany amongst them, but surprisingly (and delightfully) naming C.L. Moore as the queen of them all. Yes, this is a commercially published product, produced both with an eye to turning a profit in its own right and promoting the work of the authors who contribute stories (each of whom gets a full-page biography summarising their important work at the start of their tales), but it’s also a carefully-prepared present from a collection of “high-echelon, top-drawer writers” (as Vance calls them) to one of the highest-echelon science fantasy authors of them all.